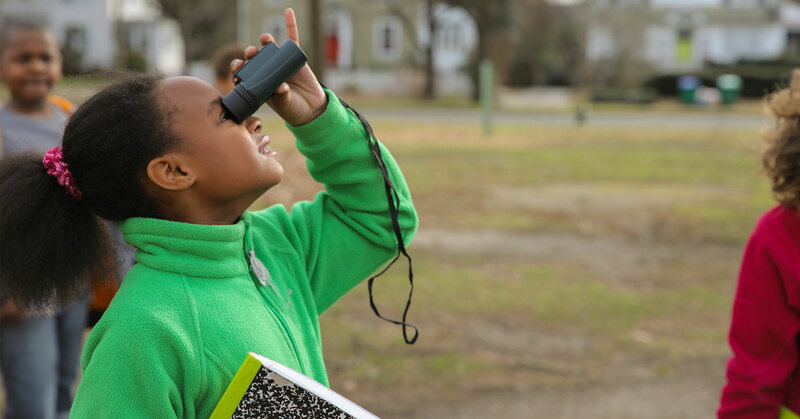 Students at Linwood Holton Elementary School discover birds in their schoolyard thanks to a 2016 Virginia Wildlife Grant. Photo by Meghan Marchetti. In this Year of the Bird, Virginia Department of Game & Inland Fisheries (DGIF) encourages you to introduce a child to nature to help foster their love for wild animals and wild places. A single encounter can spark a lifelong passion. Experiences in nature, such as birding and wildlife viewing, are memorable and enriching—the thrill of finding wild animals in their natural habitats and the awe of watching how they interact with one another and their environment. The entryway into such activities are relatively easy and low cost—kids can view nature from anywhere; the wonderment can begin at home, in a schoolyard or along a trail or stream. The DGIF is proud to help connect children to the outdoors through our Virginia Wildlife Grant Program, a partnership with the Wildlife Foundation of Virginia. Over the last 4 years, the Virginia Wildlife Grant Program has supported 128 projects connecting kids to the outdoors, totaling $170,000 and benefiting nearly 40,000 children in Virginia, from our coast to the mountains and included kids with special needs. Wildlife viewing has been one of the Grant Program’s major areas of connection and support. It was the Program’s most funded activity in 2017 at nearly $20,000 supporting 10 projects. Previous grant recipients in this category have included the “The Sounds of the Birds Study” at Linwood Holton Elementary in Richmond, “Sounds of the James Eagle Tour” for Virginia Association for Parents of Children with Visual Impairments, and an “Outdoor Club for monthly Saturday morning field trips” at Belvedere Elementary School in Fairfax County. “The Sound of Birds Study” was funded in Fall 2016 at Richmond’s Linwood Holton Elementary School with a focus on providing their students an opportunity to get outside to hear and see the birds in their own schoolyard, and also spend time drawing their observations. These simple connections could lead to lifelong adventures. The 2018 Virginia Wildlife Grant Program is accepting applications now through August 31st. Do you know a school, non-profit organization, or government entity in need of support for a children’s birding or wildlife viewing program? Please pass along this opportunity to them! Additional outdoor activities are also eligible. To learn more and apply click here. Interested in supporting the Virginia Wildlife Grant Program? Revenue for the grant program is generated by merchandise sales at ShopDGIF.com, fundraising events, and private donations. Looking for a Place to Share Nature with Kids? 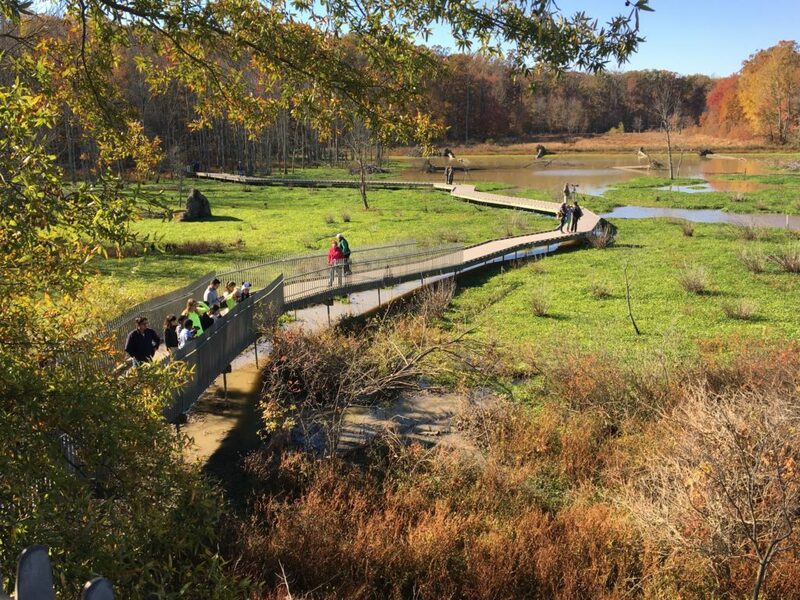 The Virginia Birding & Wildlife Trail is your guide to finding the best spots for wildlife viewing in the Commonwealth. Find a wildlife viewing site near you by clicking here.